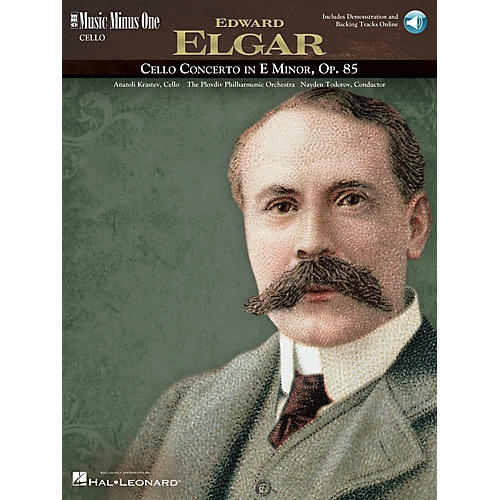 Performed by Anatoli Krastev, violoncello Accompaniment: Plovdiv Philharmonic Orchestra Conductor: Nayden Todorov Sir Edward Elgar's magnificent Concerto for Violoncello and Orchestra was a very personal one for the composer and a tremendous success when it first appeared on the scene. Since that moment it has remained a staple of the repertoire. It was a specialty of the late Jacqueline du Pré and was accordingly featured in the 1998 film Hillary and Jackie. Now it's yours to enjoy in a magnificent new MMO digital recording. Famed European cellist Anatoli Krastev gives a virtuoso performance in this masterwork, then steps aside so you can fill his shoes alongside Maestro Todorov and the Plovdiv Philharmonic. Enjoy! Includes an authoritative, newly engraved music score printed on high-quality ivory paper, and informative liner notes; a digital stereo compact disc featuring a complete performance of the concerto with orchestra and soloist, and a second performance minus you, the soloist; and a second compact disc containing a full-speed version of the complete version as well as a special -20% slow-tempo version of the accompaniment for practice purposes. The concerto is voluminously indexed for your practice and performance convenience.